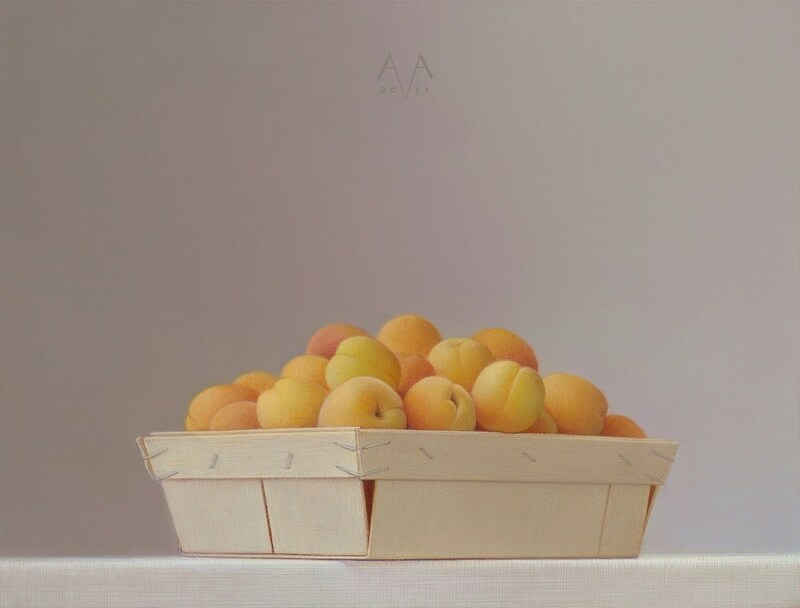 I could shed tears over these still life paintings. They are so gorgeous it hurts me. I want so many prints, please God, please. When it comes to sumptuous, beautifully arranged still lifes, the 17th century Dutch masters reign supreme, their delicately rendered offerings defined by intricate texturing, breathtaking details and a naturalistic use of light. 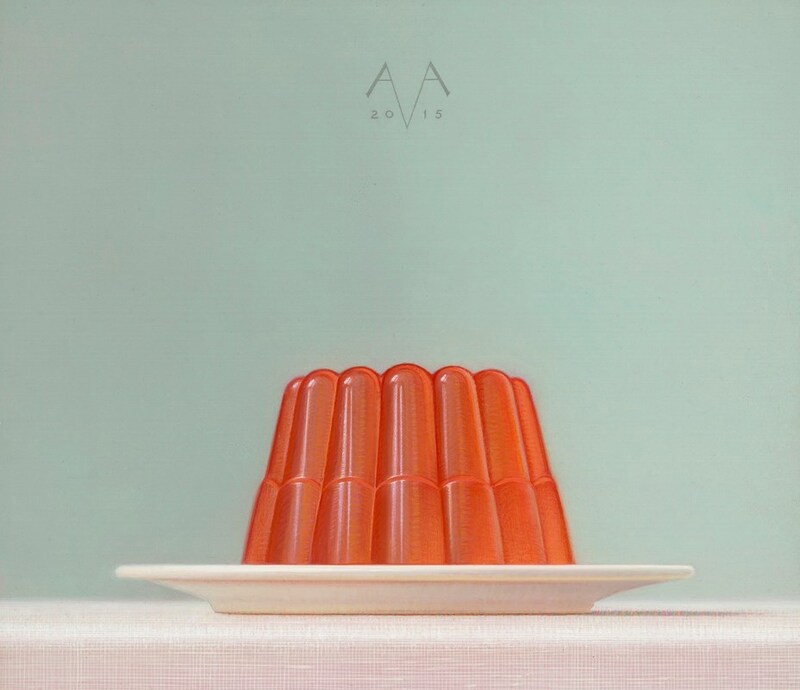 So we were unsurprised to learn that our new favourite still life painter Arnout van Albada is himself a Dutchman, currently based in Groningen where he creates mesmerising artworks in egg tempera and oil paint. 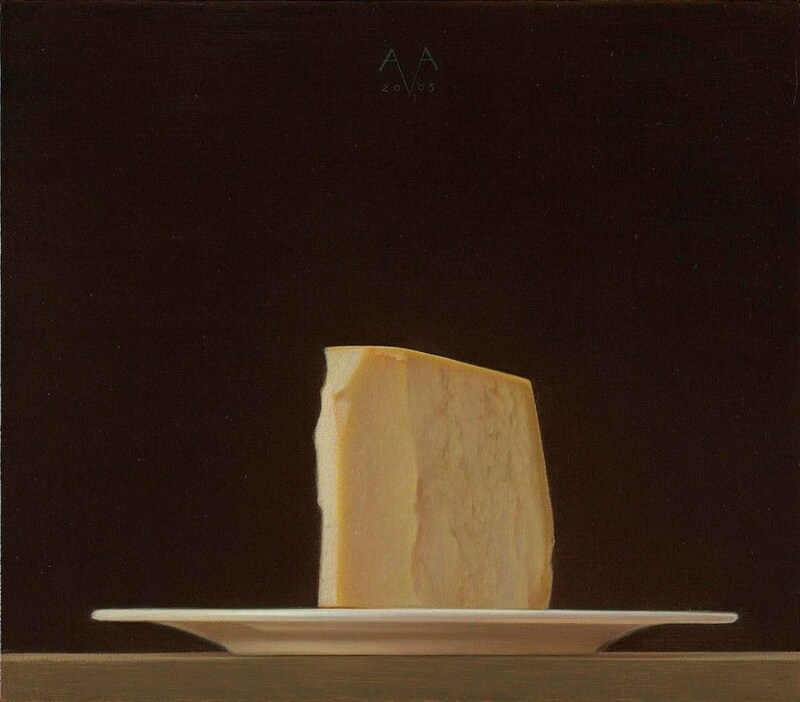 The paintings are simultaneously stark in their monumentality and warm in palette and tone, while their attention to detail rivals that of van Albada's revered predecessors. 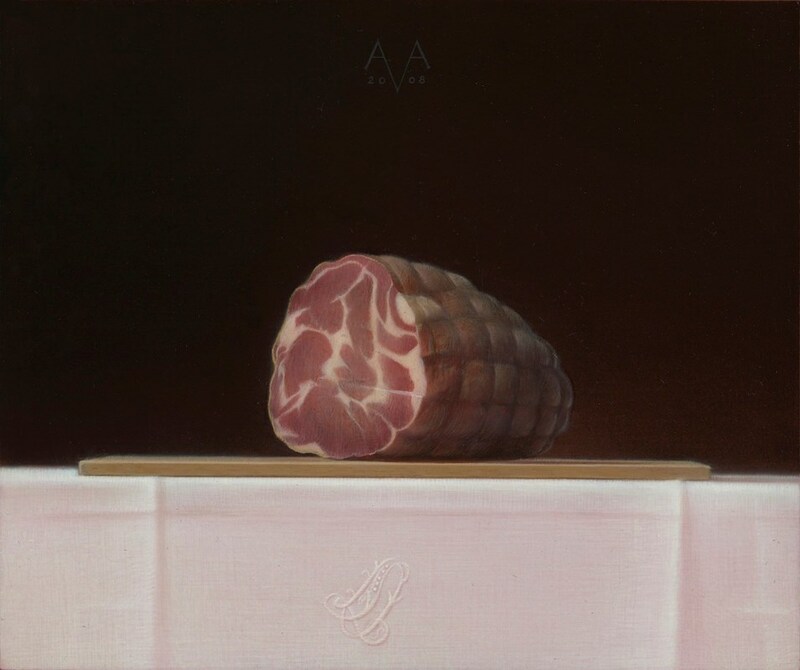 “My paintings need not to be interpreted too much,” the artist explains. 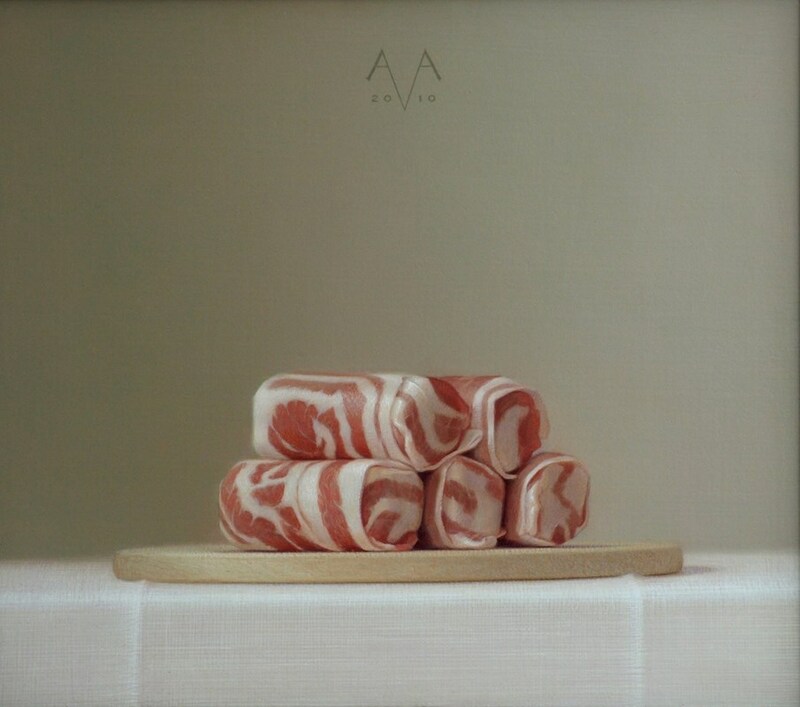 “I see the simplicity and monumental nature of my compositions as their main quality.” His subjects range from distinctly modern fare, such as plastic wrapped bagels and chocolate coins, to timeless delicacies like Parma ham, artichokes and delicately hued rhubarb stalks; while we're particularly partial to his depictions of pastel-coloured jellies, so realistic you can almost see them wobble. 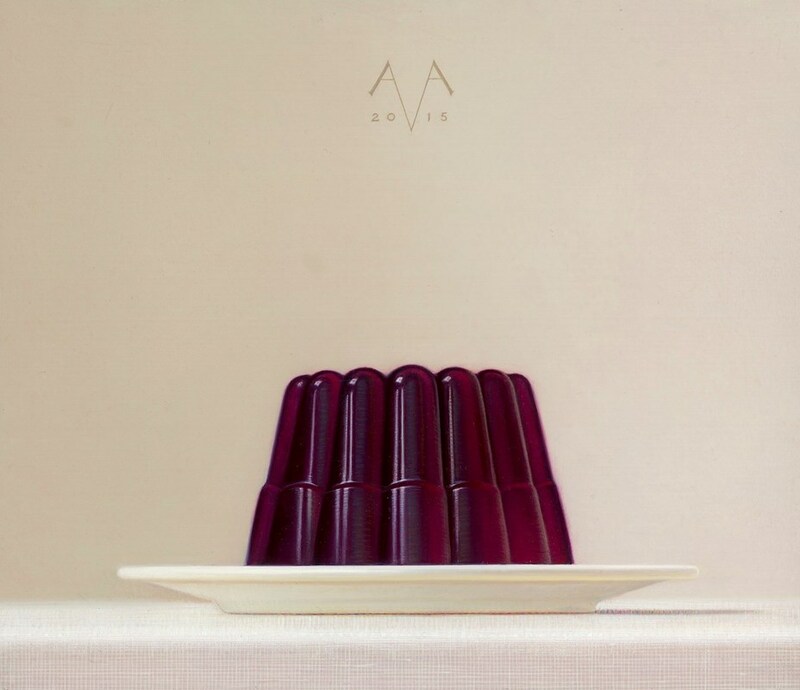 “The choice of my subjects is entirely determined by what I find beautiful and attractive – I look for subtle contrasts in textures, colours or shapes,” van Albada says. And what does he hope to achieve in his work? 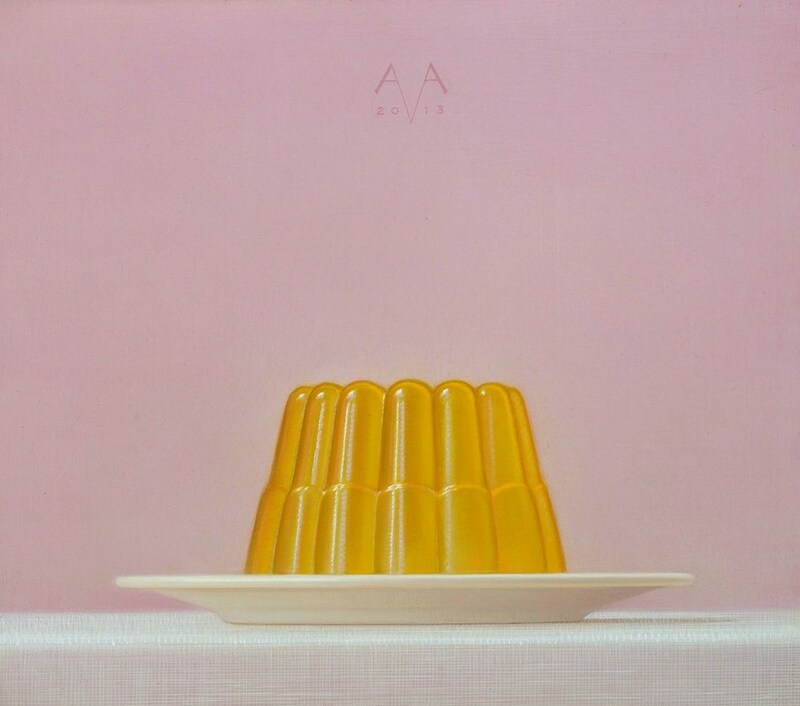 “In the end, I try to catch the elusiveness of an object when isolated from its context to create a timeless and magical image,” he expands dreamily. And we couldn't have put it better ourselves.